Our advanced tracking framework gives you complete control and detailed oversight of package and visitor tracking, process automation, and supply chain management. VueturaTrac™ tracks and records individuals and items and as they enter, move-about, or exit a facility or supply chain, and then utilizes the operational and transaction data to effectively measure and evaluate process performance. We are tracking experts with an intelligent, user-friendly framework built to give you complete control and detailed oversight of all tangible items within your organization: receiving and delivery tracking, lobby and visitor security, supply chain management, and more. Our solutions are robust, yet flexible so that we can configure a solution to meet your requirements. What makes VueturaTrac so great? With VueturaTrac, manual processes become automated, streamlined, accurate, faster, and less costly. With just a few clicks, you can track packages and/or individuals in your facility and access a complete history. Customers report a 400% or more three-year ROI, and the system frequently pays for itself in under a year. Our customers find that operational savings outweigh monthly expenses immediately. VueturaTrac can integrate between one or more external host database systems or data warehouses. VueLink provides an economical, efficient method to exchange information with external databases, Material Management Systems, ERP EDI files, and other data pertinent to the VueturaTrac Receiving Management System. Our solutions cross industry lines and provide innovative, leading-edge technology for any organization, including healthcare, leading corporations, higher education, insurance, telecommunications, manufacturing, and high technology. Our software solutions are built for the secure tracking of visitors and to track any tangible item throughout your company or organization. Our complete tracking solutions save time, money, and man hours by dramatically increasing efficiency. How is Vuetura making a difference in healthcare? Our VueturaTrac receiving and delivery solution electronically tracks items from the loading dock to the confirmed delivery location, and can easily be adapted to track items across your entire supply chain, from manufacturer all the way to the patient. 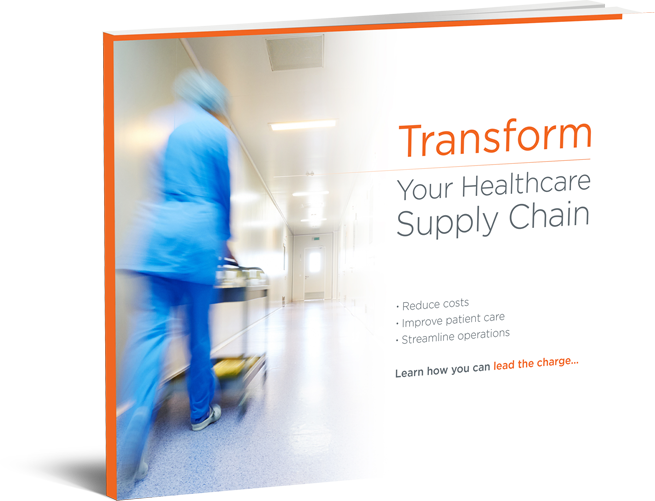 Our applications and services deliver a rapid return on investment by improving the speed, accuracy, and visibility of packages and visitors as they are received and tracked across a healthcare facility. First, it integrates with all mainstream ERP/MMIS systems. Second, VueturaTrac supports GS1 Global Standards, GLN, GTIN®, GDSN, and UNSPSC®. VueturaTrac seamlessly integrates with eCOM/EDI X.12 856 Manifest/ASNtransaction sets, EPC/RFID, RTLS systems and more. We are vendor-neutral and our software can integrate into any MMIS system. It doesn’t matter what your platform is, we are a flexible solution that works in all environments. Our software is built to manage the chain of custody for live tissue and any medical device that is placed in or on a patient. What is the impact of Vuetura on your business? Our tracking solutions deliver a rapid return on investment by improving the speed, accuracy, and visibility of packages and visitors as they are received and tracked across an enterprise. Vuetura counts some of the most respected companies and universities in the world as satisfied clients. The system frequently pays for itself in under a year. In fact, our customers report a three-year ROI of 400% or more. They discover that operational savings quickly outweigh monthly expenses. VueturaTrac is highly extensible and scalable and can grow with your business. And the VueturaTrac database can be located on an existing, internal enterprise server or can be remotely hosted in one of our secure data centers. Our customers want powerful results in an easy-to-use, affordable package. With VueturaTrac, manual processes become automated, streamlined, accurate, faster and much, much less costly. We count some of the world’s top companies and organizations as clients. And these customers want the powerful results that come from our combination of easy-to-use tracking software and full-circle client solutions. World-class customer service. In all honesty, we see clients as partners and friends. And when it comes to hand-holding, working through issues, and training, we don’t mind going the extra mile. Powerful results in an easy-to-use, affordable package. That’s the VueturaTrac solution in a nutshell. System integration. VueturaTrac customers utilize a variety of materials management systems, such as Lawson, McKesson, PeopleSoft, Siemens, and many more. Supply Chain Expertise. Vuetura is a contributing member of GSI Healthcare US and presently consults with healthcare clients on electronic commerce and supply chain intelligence. A history built on years of customer success. Recognized for logistic management knowledge and automated computer solutions, Vuetura has a long history of software innovation and consulting services. VueturaTrac is a multifunctional application framework for tracking and data standards management. Its efficient and optimized use of external data sources makes it possible to automate the flow of all the movement of tangible items within an organization—people, inter-office mail, and packages—quickly and effectively. Why automate with VueturaTrac Package? Train your staff this morning and process packages this afternoon. ROIs like quick installation, reduced cost, increased customer service, and accountability translate to a system that often pays for itself in under a year. In fact, our customers report 400% or more three-year ROI. Productivity is improved as staff members can quickly and easily scan and label each package and use smart routing to help determine the most efficient delivery plans. With just a few clicks, you can find any package and access its complete history. Highly scalable and can be customized, integrated, and updated as needed to meet your evolving business needs. Why automate with VueturaTrac Visitor? Using state-of-the-art scanners, cameras, and software, visitors can be quickly screened, registered, badged, and welcomed. It also allows employees to pre-register visitors and be automatically notified of their arrival. Improve the security of your facilities and the safety of your people. A complete visitor management security solution that includes visitor registration, visitor badging, and visitor tracking that exceeds the US General Services Administration’s recommendations for sign in/out logs and guest badges. Visitor installs quickly and is easy to use. Staff can be up and running with the solution within one day. By streamlining and automating processes, the measurable cost of processing each visitor is reduced while the unmeasurable costs associated with a breach of security are virtually eliminated.